Cabinet Division with support from Social Security Policy Support (SSPS) Programme arranged a workshop on the orientation on Single Registry Management Information System (MIS) for 37 members of the Central Management Committee (CMC) on Social Security from 35 ministries/divisions that deal with social security programmes implementation, monitoring, coordination, management and others. 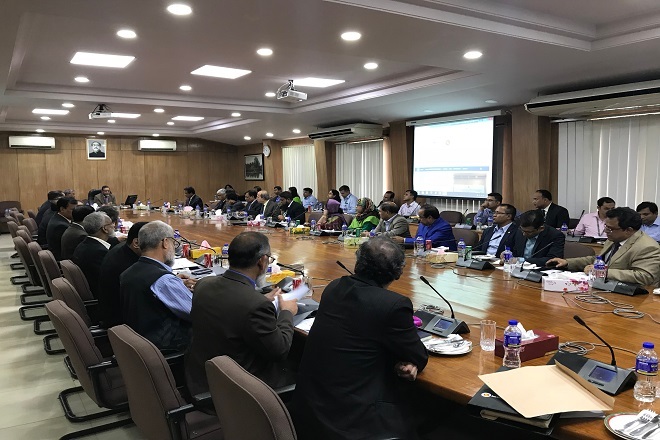 Detailed discussions were held on Single Registry Management Information System (MIS) and importance of Civil Registration and Vital Statistics (CRVS) on the Single Registry. A website on social protection fo r SSPS Programme was also launched at the workshop. It was inaugurated by the Cabinet Secretary in presence of the members of the Central Management Committee (CMC) on Social Security. 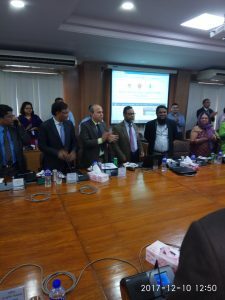 The website has been hosted in Bangladesh Computer Council (BCC), the domain has been registered with Bangladesh Telecommunications Company Ltd. (BTCL) and a link to Cabinet Division website has also been established to mainstream the programme. The website can be accessed at www.socialprotection.gov.bd.